Whether life is simply too busy or you would prefer to have a professional level of service, Precision Pool & Spa can tailor a maintenance service specifically to address your lifestyle. We work hard to make sure your pool is always perfect and ready to relax or entertain. Our full service pool service team maintains residential and commercial in-ground pools throughout Rochester, NY and the surrounding area. Our service technicians are more than just pool cleaners, as they are trained in the operation and optimization of your equipment. 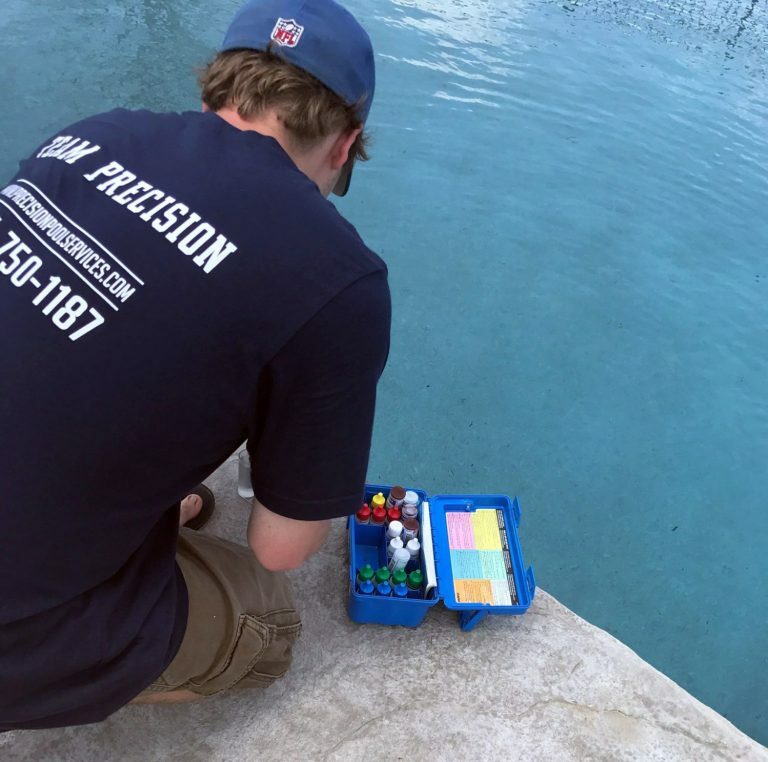 Precision Pool & Spa will keep your swimming pool sparkling clean, chemicals balanced, and the equipment in excellent working order. 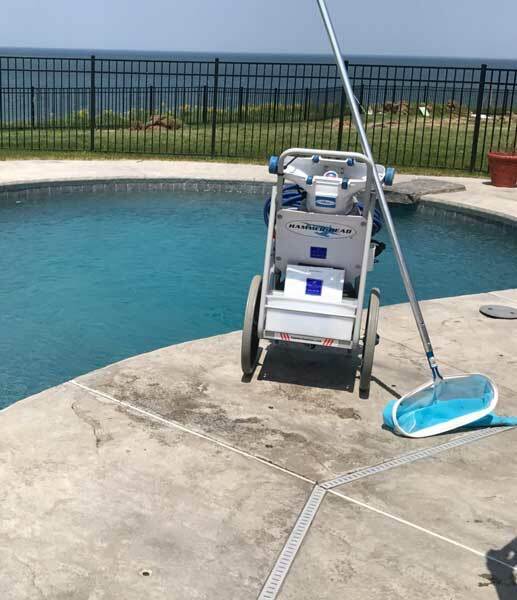 Complete Vacuum Coverage – Even if you have an automated cleaning system, vacuuming is good for keeping the surface of your pool in perfect condition. Wall Brushing & Step Cleaning – We prevent any algae from forming and make your filter more efficient by brushing down the wall surfaces of your pool. We do the same to all of your step surfaces, making sure your footing is always safe. Water Line Cleaning – The waterline of the pool is where dirt, pollen, and debris forms the most. Keeping that waterline clean on a weekly basis is important and will keep the pool looking like new. Surface Skimming – We make sure to remove any floating debris giving your filter a break and a clean start for the rest of the week. Water Testing – We test water for chlorine, pH & overall alkalinity weekly. By performing weekly tests, we can keep the water at the optimal balance for the health of your pool avoiding excessive chemical corrections. Filter and Backwashing – We clean out your entire filtering system, from the skimmer to the pool filter. Keeping the pressure and flow moving through the system keeps it running at peak efficiency. Equipment Check – While on site, we check your equipment. 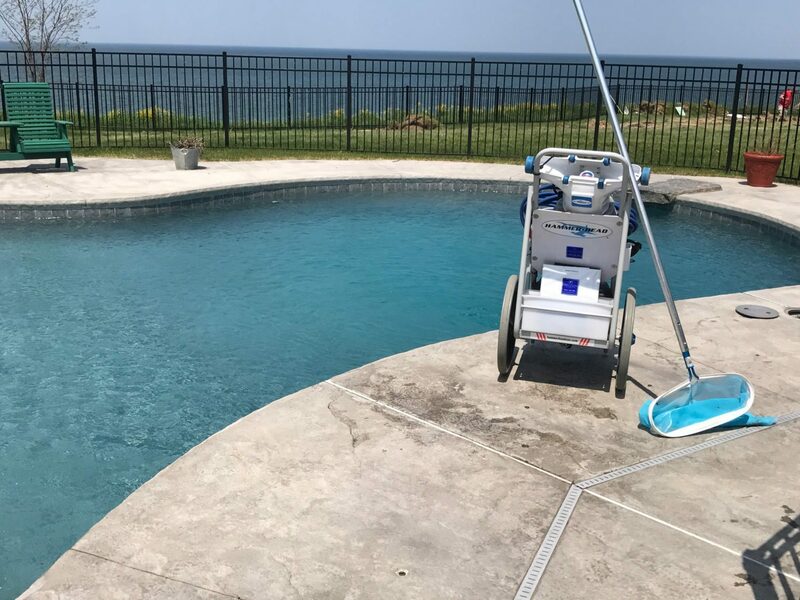 Everything from your water leveling system, your pool pump, your pool heater, to the lights in the pool are tested, ensuring they are working perfectly. We alert you to anything that needs attention and make sure everything is running efficiently. Spa Cleaning – Whether attached to your pool or separate we perform the same level of service that we do for every pool we build.